Aggregator Websites: Are they accurate for Denver home values? Websites like Trulia and Zillow are great real estate resources for a variety of reasons. Both buyers and renters can easily filter through numerous homes and try to pinpoint the one that might be the best fit for them. They allow them a more active way of staying on top of their home search. These sites are also a great resource for sellers, as it allows more exposure for their property and availability to a wider audience. However, these websites like to post their version of information for a home’s Denver home value, and frankly, it is usually an inaccurate home valuation. If you have ever searched for your home on Zillow, it will give you a rather general number as to what your home worth. Rarely, that number is a pleasant surprise. Overall, these numbers are gross generalizations and can be looked at as more of a marketing tool than an actual, solid figure. That number is designed to draw casual consumers in, sign up for these websites’ services, and begin using the other features Trulia or Zillow offer. It is a business model that works for these sites, but as a consumer, it helps to know the truth. In order to avoid an inaccurate home valuation, Denver home value should be calculated by professionals. Realtors are experts in the home worth game and are the most reliable source to get a number as to your home’s real worth. They also have access to multiple appraisers and resources that do this a hundred times a day. 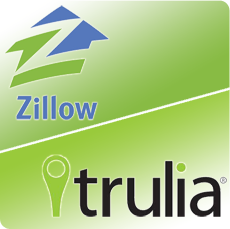 Trulia and Zillow encompass the entire country. A company and their server based in California cannot give you an accurate Denver home value. When it comes to selling your home, the first step is to hire a real estate agent and find out how much your home is actually worth. These aggregator websites are great for checking out the competition or getting your listing out to the masses, but they cannot be tailored to your home’s personal needs. They care about quantity, not quality. And especially in a seller’s market as hot as this one, nothing can help you start off stronger than an accurate Denver home value.